Since Marshall Gilkes arrival in New York City in the late 1990s, his star has continued to shoot towards a trajectory of greatness. 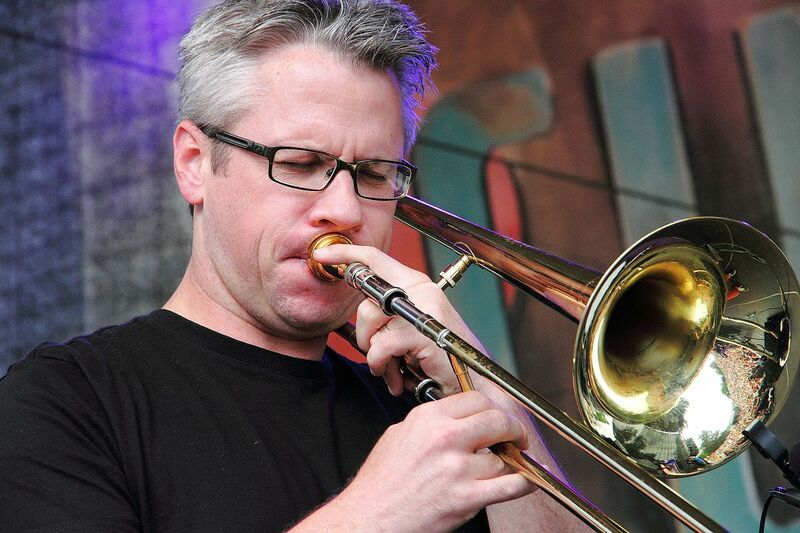 Contributing his warmly toned low brass hues to Maria Schneider Orchestra, or the exotic chamber jazz of Colombian harpist Edmar Castañeda’s trio; or the thriving New York Latin music scene, Gilkes can be found tirelessly pushing his artistry to new heights. His latest endeavor is his fifth leader release. Following the success of the acclaimed 2015 Köln, that garnered his Grammy nominated collaboration with the WDR Big Band. 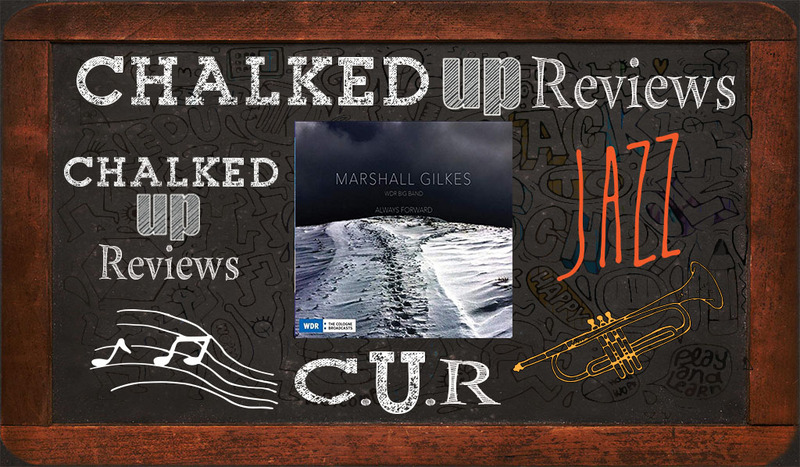 Gilkes once again shows his love of jazz did not stop at the 1960s, with a galvanized adventuresome spirit, he engages the support of his former colleagues (past member of Germany’s premiere large ensemble, from January 2010 to December 2013) highlighting his unrivaled ensemble writing and incomparable playing on his latest offering, Always Forward. “Puddle Jumping” is based in a clave feel, varying from 7/4 to 4/4, all the while highlighting Gilkes facility with huge intervallic sweeps and an equally unrivaled warm and round tone. 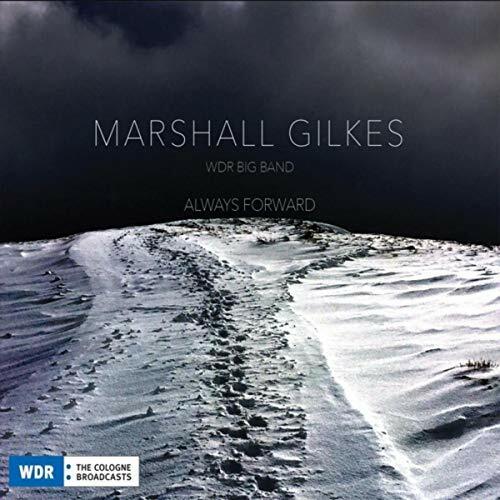 Gilkes sites his style is not from listening to countless trombonists before him, but by copiously studying the technique of the late saxophonist Michael Brecker. It is in this unorthodoxy that Gilkes developed his unique sound, which is front and center on this swinging tune. Gilkes once again has constructed a masterpiece of lasting enjoyment. What makes a release stand head and shoulders above the sea of releases these days is not only well articulated ideas and top-shelf playing, but a depth within the writing that resonates beyond the usual ideals. Gilkes steps forward and fulfills that role with his modernisms of writing and harmonic treatments of mainstay standards. His arrangements give a freshened listen, while his originals inspire and engage.